In our first exposé from the #GuptaLeaks, we show how the president’s friends and their associates are diverting billions of rand from Transnet’s purchase of locomotives to their offshore accounts. Are pocketing R10-million from each R50-million locomotive that Transnet is buying. This story presents the most direct evidence yet of the Guptas and their associates amassing fortunes offshore by tolling contracts at state-owned entities they control. Just over two years ago in Shenzhen, the China mainland boomtown abutting Hong Kong, Salim Essa put his signature to a “business development services agreement”. Neatly laid out over 19 pages of legalese, the contract seemed standard for the world of trade and investment. A firm named CSR (Hong Kong) Co Ltd had approached another called Tequesta Group Ltd to “provide advisory services” for “Project 359” in South Africa. Tequesta, represented by Essa, had “a familiarity with [the] regulatory, social, cultural and political framework” in South Africa and could give the necessary assistance. But that is where “standard” ended. Read the contract agreement here or via Dropbox here. Read the #GuptaLeaks emails here. CSR (Hong Kong) was a subsidiary of China South Rail (CSR), the mainland-based rolling stock manufacturer that had won the biggest share – 359 – of a tender for 1,064 new locomotives that Transnet, South Africa’s state-owned freight operator, had awarded to four suppliers in March 2014. Essa, a dealmaker and trusted Gupta family lieutenant, was the sole director of Tequesta, also a Hong Kong company. Essa and a CSR executive signed the contract on May 18, 2015. In other words, the be-all and end-all of Tequesta’s “service” was to have won the tender for CSR 14 months earlier. And the consideration? The contract records that “Tequesta shall be entitled to an advisory fee of 21%” … of the contract value for Project 359” – a staggering about R3.8-billion of the R18.1-billion contract. Put differently, more than R10-million of the R50-million that South Africa is paying for each CSR locomotive would be diverted to an offshore company controlled by the Gupta lieutenant. As will be seen, similar agreements provided for about R1.5-billion more on two smaller Transnet CSR orders, bringing the total to almost R5.3-billion on contracts worth over R25-billion. The amounts alone elevate the fees beyond consultancy to where only one explanation is possible: that these are the proceeds of corruption. The interpretation is bolstered by a simple fact: Key decision-makers at Transnet, including those directly involved in its procurement function, were Gupta associates. The CSR agreements provide the most direct evidence yet that the Guptas and their associates are amassing fortunes offshore by tolling contracts at state-owned entities they control. But let us go back to where it began. After Malusi Gigaba, now finance minister, was appointed to the public enterprises portfolio in late 2010, he shook up the state-owned companies under his control. This included appointing Iqbal Sharma, an Essa and Gupta friend, to the Transnet board almost immediately, and Brian Molefe, now a known Gupta intimate, as Transnet chief executive in 2011. Still in 2011, Gigaba reportedly wanted to elevate Sharma to board chair, but this was shot down by his Cabinet colleagues. Sharma was then made chair of the board acquisitions and disposals committee, a new structure to oversee large procurement. A third important Transnet appointment came in July 2012: that of Anoj Singh as chief financial officer. The procurement function resorted under him. That same month, July 2012, Transnet issued its tender for 1,064 freight locomotives; 599 electric and the rest diesel. The roughly R50-billion price tag made it South Africa’s largest locomotive procurement yet, the company later said. Three months later, Transnet announced the outcome of an earlier, “accelerated” tender: CSR would supply 95 electric locomotives. amaBhungane was told at the time that the Guptas would benefit from this award, but was unable to confirm it – until now. In December 2012, Transnet appointed a consortium led by global consultants McKinsey to advise on the 1,064 procurement. As amaBhungane previously reported, advisory firm Regiments Capital, not originally part of the McKinsey consortium, was subsequently included and given an increasingly dominant share of the workload. Much of this was driven by Singh, who signed the contract amendment bringing in Regiments. For the McKinsey consortium, Regiments director Eric Wood signed. Wood’s entry is important for two reasons. One, he too was close to Essa and the Guptas. He remains locked in litigation with his former colleagues at Regiments after he left them to form a competing advisory firm, Trillian Capital Partners, with Essa. Two, Regiments, then still represented by Wood, was key to determining the outcome of the 1,064 tender. In a memorandum to Molefe that amaBhungane previously reported on, Singh credited Regiments for a decision to split the tender between four bidders. Regiments’ purported logic was that even though each manufacturer would charge millions more per locomotive, as it would produce fewer units and sacrifice economies of scale, this would be outweighed by hedging and inflation savings because the locomotives could be delivered earlier. Be that as it may, when Molefe announced the split tender award on March 17, 2014, CSR was the biggest winner with 359, or 60%, of the 599 electric locomotives sought. But that was not the end of CSR’s winning streak. Six months earlier, in October 2013, Transnet’s Sharma e-mailed Rajesh Gupta and senior Gupta employee Ashu Chawla. 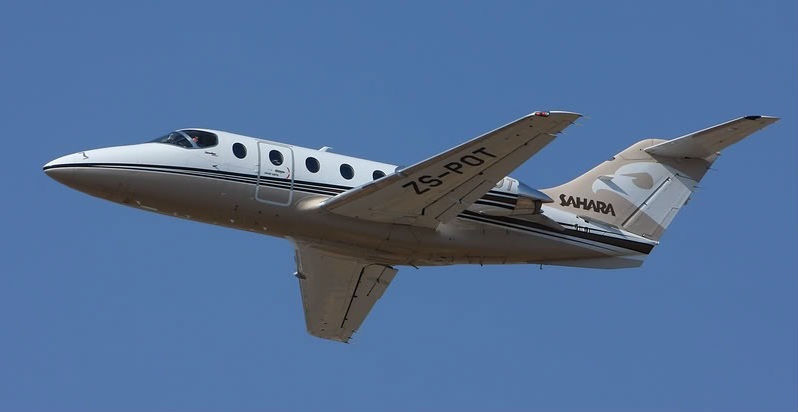 By this time, it should be noted, Sharma was about to be a business partner to Essa and the Guptas – he was negotiating his and their imminent joint acquisition of VR Laser, a steel cutting business. But these e-mails were not about VR Laser. To Chawla, Sharma sent a memorandum that had been submitted to the acquisitions and disposals committee, which he headed. It motivated for the urgent acquisition by “confinement” – that is, without a tender – of 100 electric locomotives from Japan’s Mitsui & Co pending the finalisation of the 1,064 tender, which had been delayed. If the Guptas were batting for CSR, the award to a competitor would have threatened their interests. Sharma provided the solution. To Rajesh Gupta, better known as Tony, Sharma e-mailed two letters: One from him to the department of public enterprises director-general, and the other a draft reply from the director-general. The letter to the director-general was in the form of Sharma seeking advice from the department, which represents government as Transnet’s shareholder. He added that it “could appear” that Transnet’s freight rail division, which had motivated the acquisition, wanted to favour “particular companies that have enjoyed similar treatment in the past”. The record shows that Mitsui & Co did not get the contract for the extra 100 locomotives, but that CSR did. We could find no evidence that this followed an open tender. 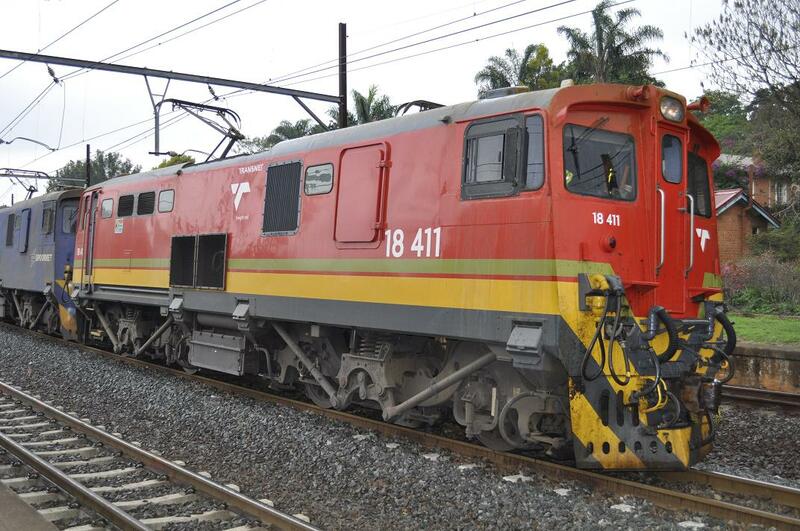 End result: By early 2014, CSR had contracts to supply Transnet with 95, 100 and 359 locomotives – 554 units in total. The ink was barely dry on the 359 contract award when Singh, the Transnet chief financial officer, paid what appears to be the first of multiple visits to Dubai, where he stayed at The Oberoi, the Guptas’ hotel of choice. Numerous e-mail exchanges show Chawla, the Gupta employee, handling the reservations and in some instances the payment. After an extended December 2015 stay Chawla forwarded Singh’s UAD20, 454 (about R85,000 then) bill to Tony Gupta, who replied: “Ok”. Singh’s first recorded booking was for a luxury suite from June 6 to 9, 2014, three months after the 1,064 tender award. Tony Gupta had a booking for the same period, but in the presidential suite. The purpose of Singh’s visits is not clear, but there is evidence of business involvement with the Guptas. 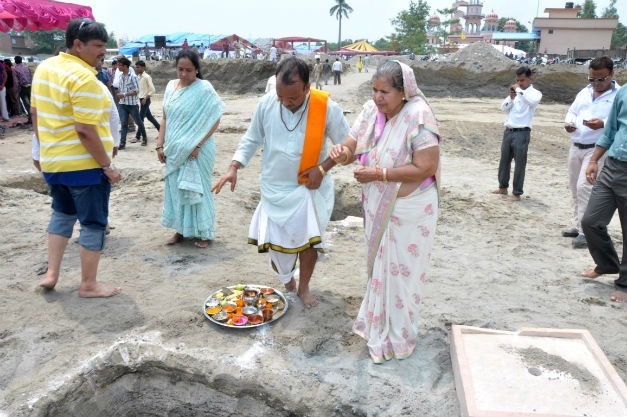 Company documents submitted to the Ras al-Khaimah Investment Authority indicate that on May 1, 2014, Indian national Vivek Sharma transferred ownership in a company, Venus Ltd, to Singh. We could not establish its purpose. Ras al-Khaimah is one of seven emirates making up the United Arab Emirates. The investment authority provides a highly secretive offshore company jurisdiction. Vivek Sharma and his father were Gupta associates, numerous e-mail exchanges show. This includes an invitation for Tony Gupta to attend Vivek’s wedding in March 2014. The #GuptaLeaks include a January 2015 reconciliation of the “receivables” CSR were to pay and had already paid. It tabulated the value for each of the three Transnet contracts: R2.7-billion, R4.4-billion and R18.1-billion, and the “fee” CSR was to pay on each: R537-million, R924-million and R3.8-billion (21%). Of the total about R5.3-billion, CSR had by then paid US$124-million (R1.4-billion in January 2015 rands). But the kickbacks were not being paid directly to Gupta companies at the time – the 95 locomotive “fee” went to a company initialled “CGT”, while in respect of the other two contracts it went to a company initialled “JJT”. We could not establish CGT’s identity, but JJT is JJ Trading FZE, an Emirati company associated with Piyoosh Goyal, the chair of India’s Worlds Window group, which had a mining joint venture with the Guptas in Mpumalanga. The reconciliation shows that JJ Trading and CGT were to keep 15% of the CSR payments for themselves, and pay the rest onwards as “expenditures”. A Gupta whistle-blower told amaBhungane that JJ Trading was essentially a front for the Guptas: it signed the original agreements with CSR but remitted proceeds to Gupta companies. Presumably the same went for CGT in respect of the 95 locomotives. The “fronting” relationship was not to last. We do not know why, but one possibility may be Goyal’s exposure to the law in India, where in 2013 the Central Bureau of Investigation placed him under investigation in a high-profile bribery case. Whichever way, Essa registered Tequesta in Hong Kong in June 2014 and signed the contract with CSR in May 2015, under which the 21%, R3.8-billion “fee” for the 359 locomotives became due to Tequesta. 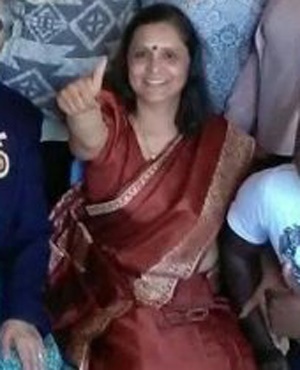 Bearing out the allegation that JJ Trading had initially fronted for the Guptas, the agreement recorded that a prior agreement with JJ Trading had been cancelled, and made provision for how to handle disputes between the two. CSR’s delivery of locomotives to Transnet are continuing. And so, presumably, are the kickbacks. No one named in this story was contacted for comment. This is permitted by the South African Press Code in a situation where a publication “has reasonable grounds for believing that by doing so it would be prevented from reporting”. We invite those named in this article to provide us with comment and clarification after publication. 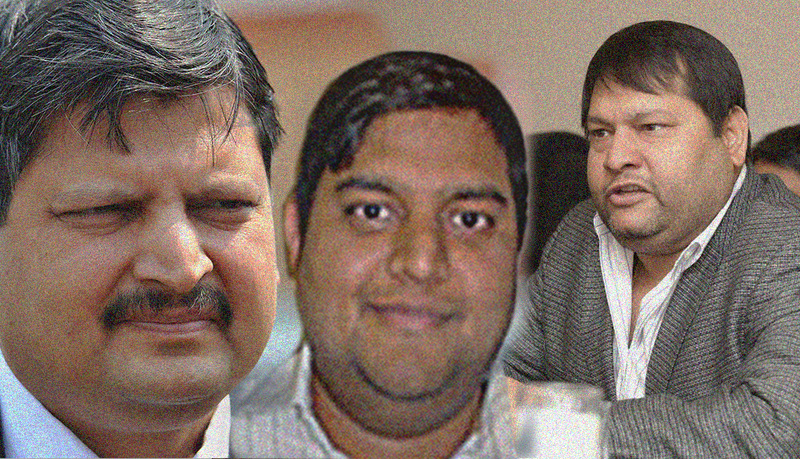 The article was updated after publication to include a link to emails from the #GuptaLeaks.